Need help with your accounts? Consider it done​​. ​ Coventry based chartered accountants with over 25 years combined experience. SB Accounts Ltd are delighted to have partnered with Quickbooks Online to help clients manage their accounts. Quickbooks allows you to manage your finances in one convenient place, from invoicing & expenses to tax returns & payroll. As certified online advisors we can help with all aspects of using the system including initial set up and will be there to support you when you need it and we are happy to offer licences at reduced prices for all clients. Many UK businesses will be affected by Making Tax Digital (MTD) for VAT, HMRC’s plan to bring UK tax into the digital age. And we have everything you need to become MTD ready to ensure a smooth transition. 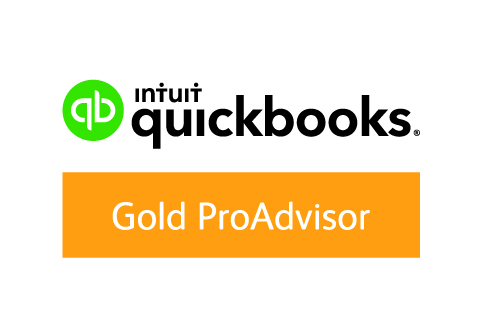 Our clients can benefit from our partnership with Quickbooks - not only will we provide you with MTD for VAT compliant accountants package, there are significant benefits to your business if you use the recommended package. Giving you the most value from your accountancy service. At SB Accounts we believe in providing the best value possible to all of our clients. We can be a one-stop shop for all of your accounting needs. Every business is different and everybody will have a slightly different approach when it comes to their accounts. We provide tailor made packages that enable you get the information and service that you want from us. Please do give us a call or drop us an email for a free no-obligation chat about what your requirements are and how we can help. We'll produce your year end accounts, calculate any corporation tax and submit everything to HMRC on your behalf. Self Assessments can be confusing. Are you a sole trader, or someone who has an extra source of income on top of a regular job? We can help take the stress out of filling in a self assessment and help you do it well before the deadline. We can calculate and submit VAT returns on your behalf & help you to choose the best VAT scheme for your business. Taking the stress out of paying your employees and keeping on top of all the statutory requirements such as pension auto enrollment. We can add value to your business by providing informative reports each month on product performance, cost analysis etc. Helping you to pinpoint what is working well for you and what isn't. If you need to raise extra funding for your business, either through a bank loan or external investment, then budgeting and cashflow analysis is vital. We can arm you with all the information you need to go through this process. Simple ways to contact us. Please feel free to call or email us, we always aim to respond within 48 hours. We can be reached between the hours of 9am - 6pm Monday to Friday. Please Enter A Message To Help Us Deal With You Request.